School is out for summer, yet I can't stop thinking about the wonderful year I've had with my fifth graders. We've done so much reading, thinking, and growing. I know they are ready to change the world! As, I've wrapped up the year, I've had several inquiries (mostly via Instagram) about my #Classroombookaday. You can get tons of ideas on how to get started from Classroombookaday.com Jillian Heise has lots of tips for getting started and she also shares how she came up with the idea for #Classroombookaday. Plus, you can always check out the hashtag on Twitter or Instagram, too. Let's start with the basics. I chose to do #classroombookaday to start the day off with reading together and sharing in the love of reading. Who doesn't love picture books? I made it clear to my students that there were no lessons, activities, and especially no worksheets attached to these stories. We were reading to read, think and enjoy. After each story, time permitting, we'd turn and talk and then share our thoughts. My three guiding questions were: What did you notice? What did you like or dislike? What can you learn? After the first two weeks of school and lots of modeling, I opened a Sign Up Genius so that kids could share two days a week. It was a HUGE hit and they loved reading to their classmates. This was optional and if no one signed up, I chose a book to read that day. The question, I most often get asked is... Where is your book list? What books did you use? So, I thought I'd create a four part blog series on some of my favorite books from the year. I may also make a Google Doc or Sheet with all my titles as well. But please note, out of our four reading days, two days a week I had students sharing titles. So, there were some instances where there were books I just didn't get to share because kids had signed up and had some of their favorites in mind. 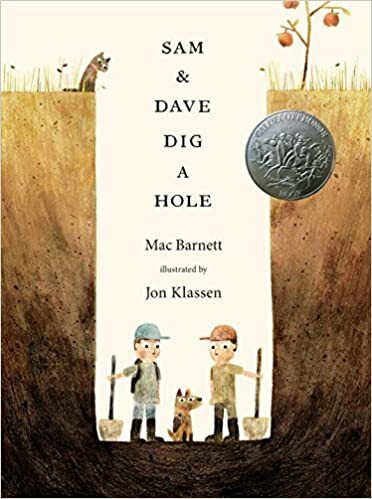 We also didn't always post our books we used as mentor texts in class -- so our board only accounts for the #bookaday reading we did Monday - Thursday. Here are ten of my favorite "Back to School" books that I used at the beginning of the year. 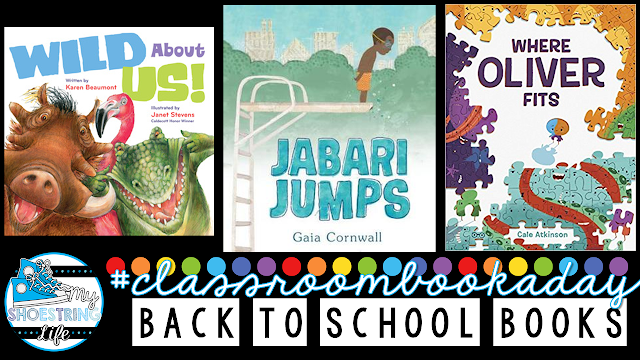 These books helped me build a rapport with my students and get them excited about #Classroombookaday. 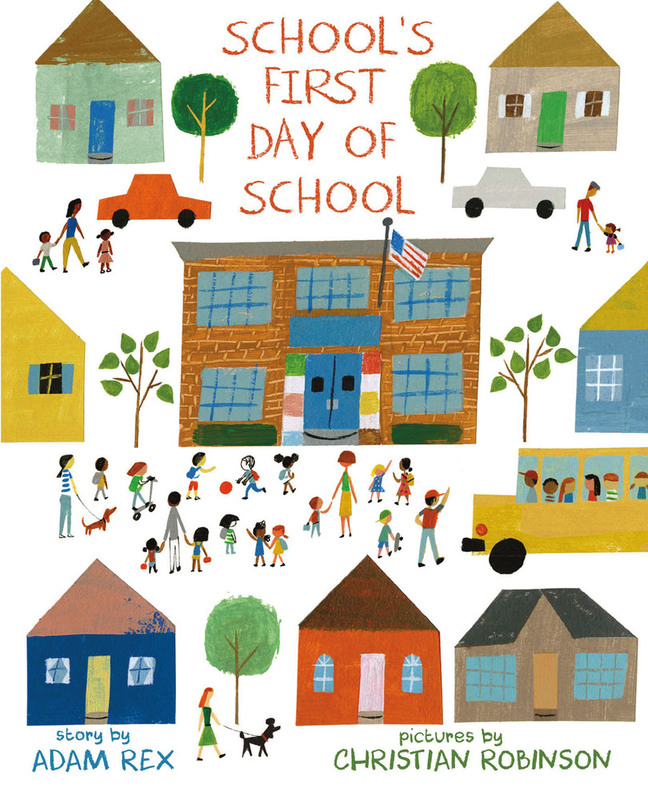 This is the perfect first day read aloud. Told from the School's perspective, it addresses how even the school is nervous about his first day and all the kids coming to meet him. The janitor helps get school ready and eventually school starts to enjoy his first day! Our principal read this book to our students on the first week of school. Students then created some unique rocks that we displayed around the school. 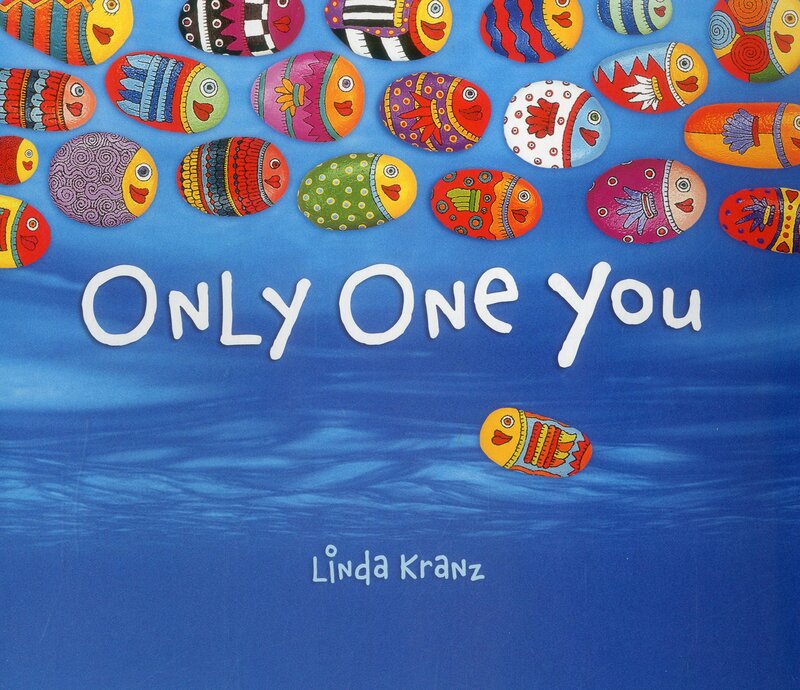 The story celebrates being unique and embracing your differences. 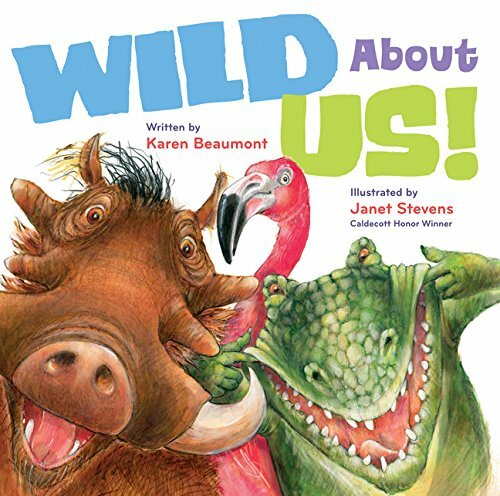 This book is a fun book featuring animals that are embracing their own unique traits and characteristics. The book features zany illustrations and even a few animal butts -- what's not to love? Quite possibly one of my favorite back to school reads. My students always love Peter Brown. From his amazing illustrations to witty stories, you really can't go wrong with a Peter Brown book. This book follows a student as he "perceives" his teacher. She gradually becomes less "monstrous" as he sees her outside of school and realizes that she might not be so bad after all. Cale's books just bring a smile to my face. Where Oliver Fits is the perfect story to talk about finding your place and where you fit in. Oliver tries to force himself into many different groups and even changes himself to fit in. However, this doesn't make Oliver very happy. Will Oliver ever find some pieces like him? Kwame Alexander brings to light a book about getting lost in a book. Told by two different frogs, this book highlights the power of story. Plus, it uses the words BRO and DUDE A LOT! This book is great for audience participation. 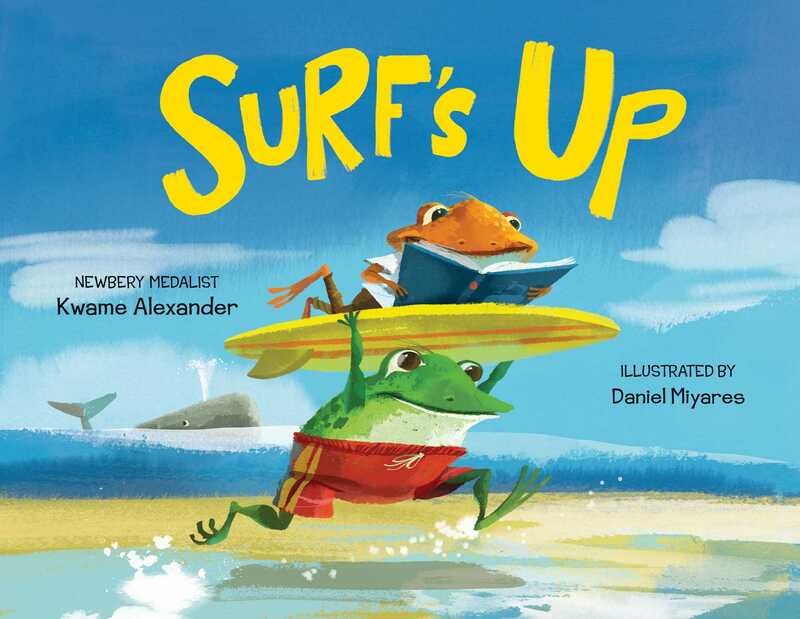 There is also a great song that Kwame and Randy wrote a song titled "Surfs Up" to accompany the book! Check it out on YouTube. 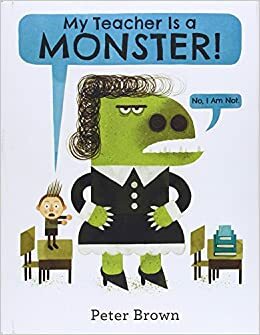 This book lets kids know that not everyone is perfect or even all that nice. But it's never too late to change yourself and allow yourself a fresh start. 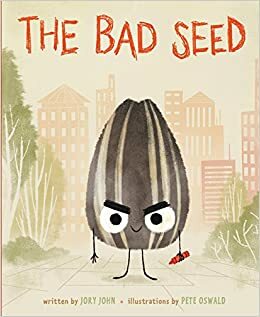 The bad seed tries to become a better seed -- does he still slip up? Of course, but he's trying to be better! Quite possibly my favorite read aloud of the year! This book is great for talking about grit, determination and growth mindset. It's also a fantastic book that keeps kids on their toes! The audible groans and gasps as Sam and Dave endless look for something spectacular always make my teacher heart pitter-patter. 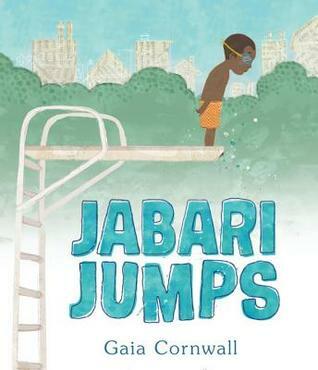 Perfect for end of summer, Jabari Jumps deals with conquering our fears and learning to take risks. With the help of friends and family, it's easy to take a dive into something new! Plus, you may discover something new to love and enjoy! 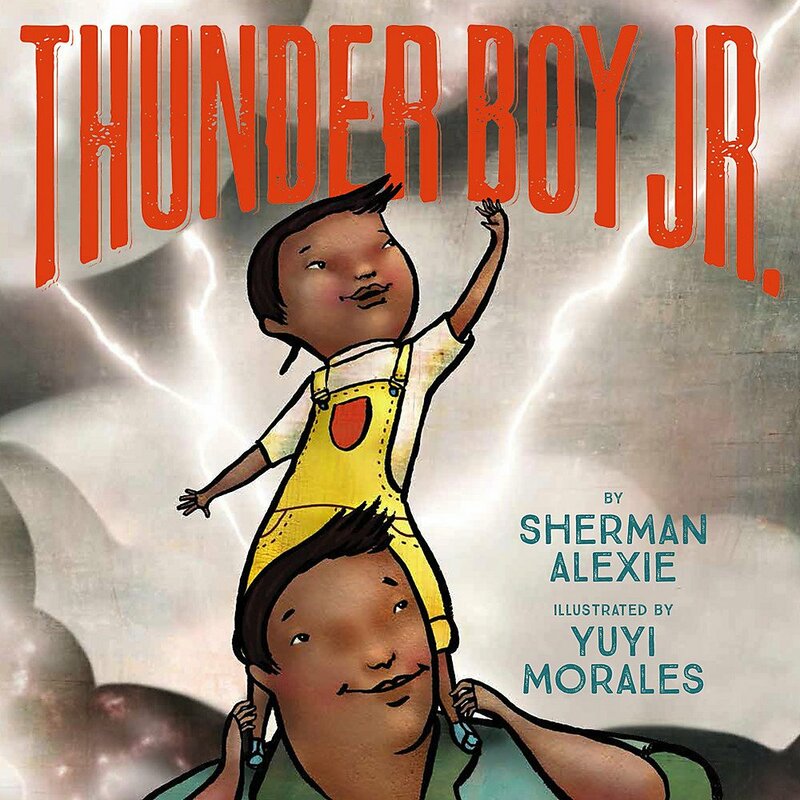 My last favorite back to school read was Thunder Boy, Jr. because it touches on identity and what our names mean to us. Teaching at a diverse school makes names even more important to me. I should know them and know how to pronounce them correctly. We talk about the value of names and often students share what their names means or why their parents choose their names. It's amazing what you can learn from students just from talking about their names! This year, I also plan to use Alma & How She Got her Name the following day. I also always share how I was named after my mother's favorite song from the 1980's and there may or not be some rocking out to Barry Manilow. ** I'm linking in an important blog post from The Pragmatic Mom about the #MeToo movement and #Kidlit. Please read this article as you consider books to share with your students. I will probably not be sharing Thunder Boy Jr. whole class this year in support of the brave women coming forward. I will be reading Alma & How She Got her Name instead. Be informed and aware as you prepare for classroom read alouds. What are some of your favorite back to school read alouds? I have a few questions about your bulletin board, as I'll actually have room for one in my new room! What size is it? What size did you make your images, and how many fit in a row? Thanks for the help! I'm not sure the exact size of the board. Maybe 3 feet x 5 feet? I bought four spools of thread and clips from Target last year and it was more than enough. As for the images. I resize a Google Slide to 11 x 8.5 (size of paper) and then print six to a page. Three across in two rows. I don't make them the exact same size as it distorts the cover art. Feel free to email me or check out my Instagram if you have any other questions or want some ideas to get started!